This set will be available at UBER until January 23rd! 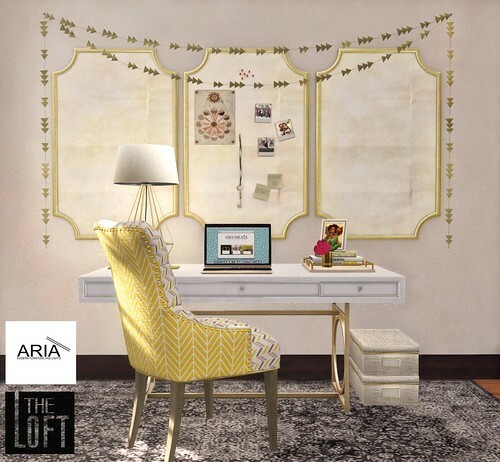 This trendy office set comes complete with a desk, chairs in many color choices, as well as all the accessories you will need to complete the look, including a rug, laptop, lamp, memo boards, pencil holder, tray filled with decor, flower, geometric garland decor, rug and storage boxes. The Riley chair is available in 10 different color variations each loaded with hand picked animations , some with rezzable and/ or attachable props. The laptop and Flower both come with texture change options!